HOST YOUR OWN MINI TEA BREAK! Be a guest at your very own mini tea break! Just imagine being engulfed in the intoxicating aromas of soothing teas and fresh baked scones. Take advantage of our generous host program and get FREE products. You can also purchase 1/2 priced items or "Host Only" specials based on your sales and bookings. It's Easy - Tea Break = Free Stuff = Fun! 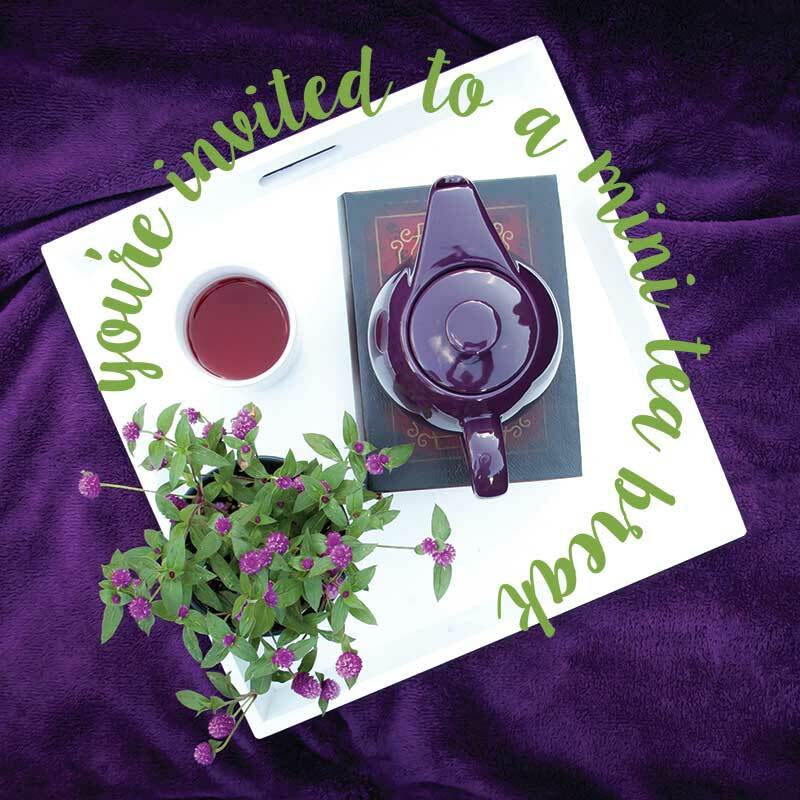 Hosting a mini tea break is a great way to earn free products. Check out the host reward chart. Once your guests taste our premium loose leaf tea and baking mixes, they will be hooked. The higher your sales, the more you receive! 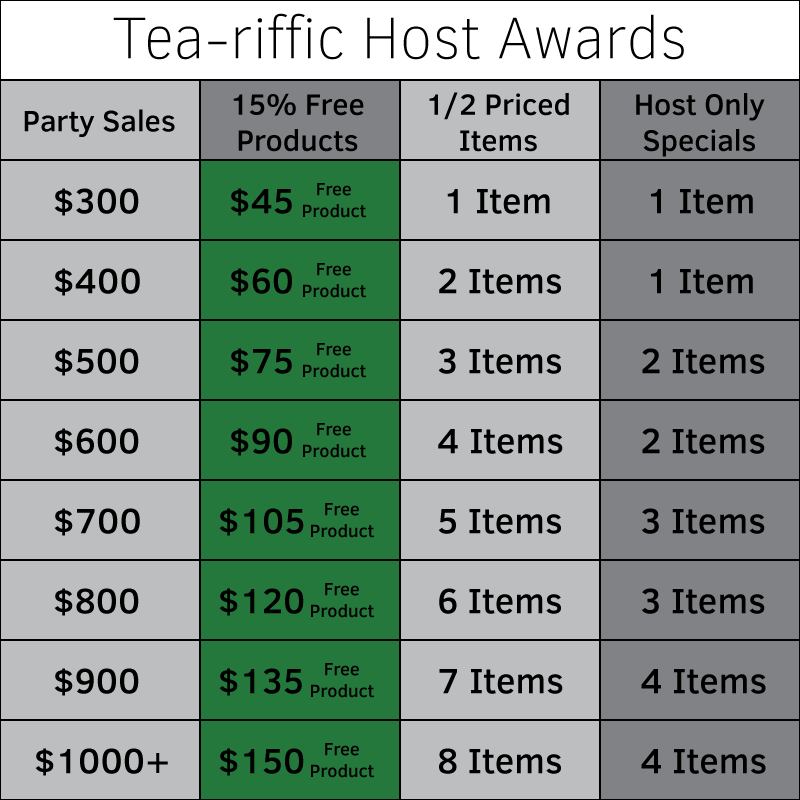 All hosts whose gatherings are over $200 always get a free bag of tea in addition to our normal host rewards. Click here to host a tasting!